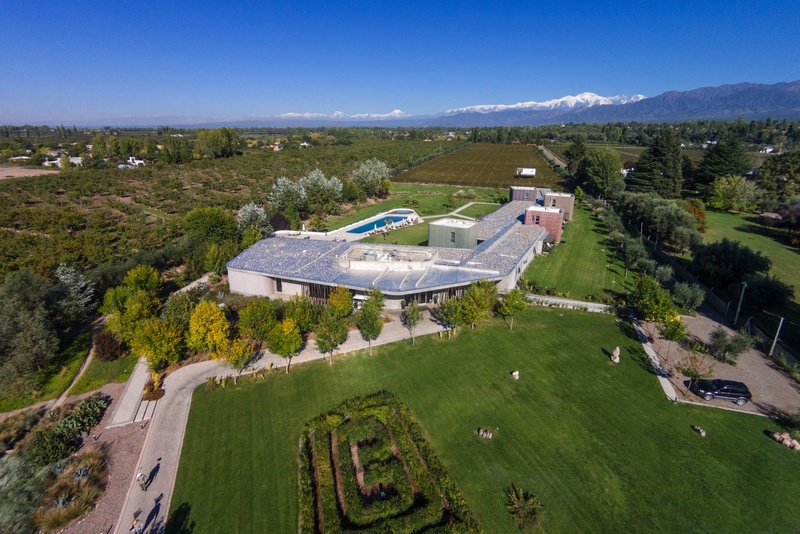 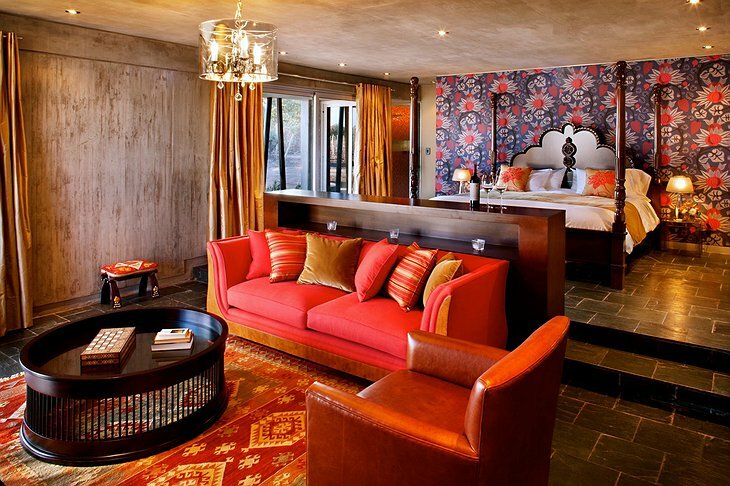 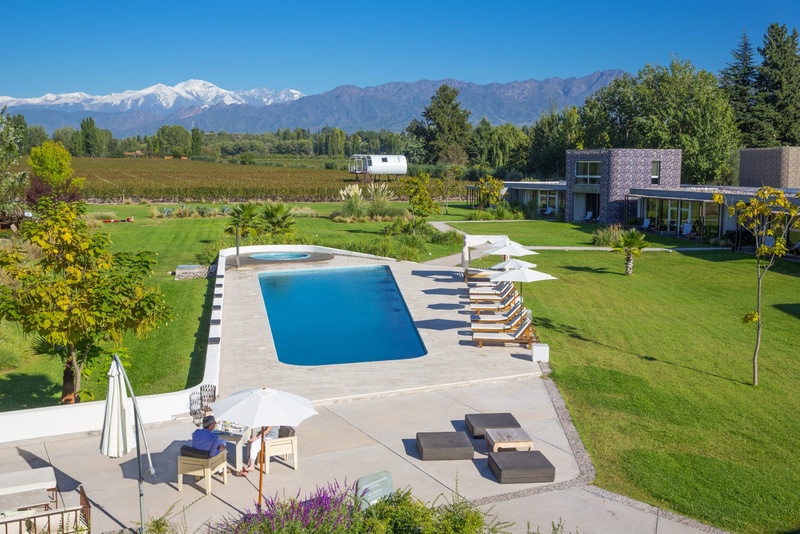 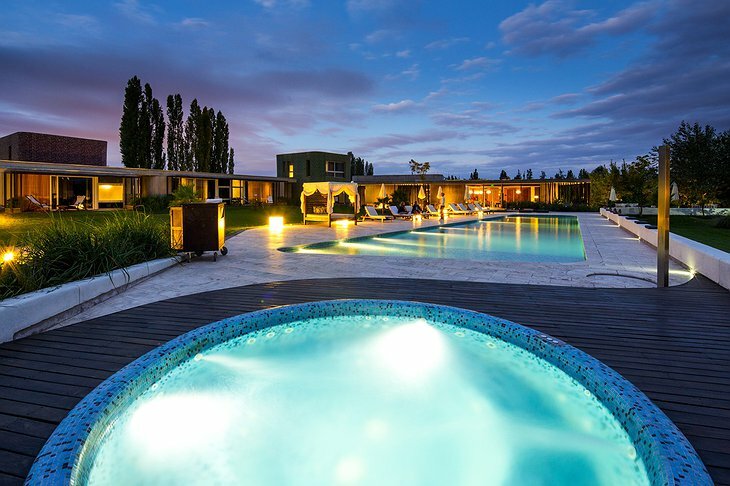 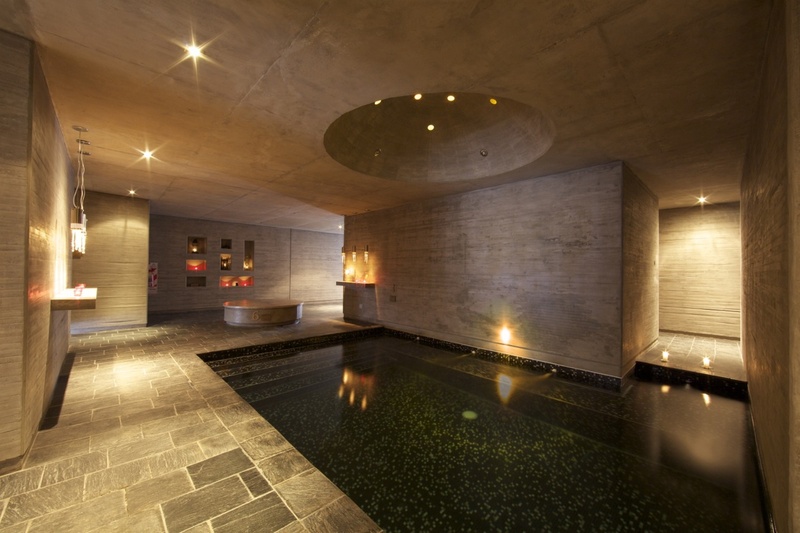 Named Argentina's Leading Boutique Hotel of 2015, Entre Cielos offers 16 spacious rooms with views of the Andes Mountains and onsite Malbec Vineyard. 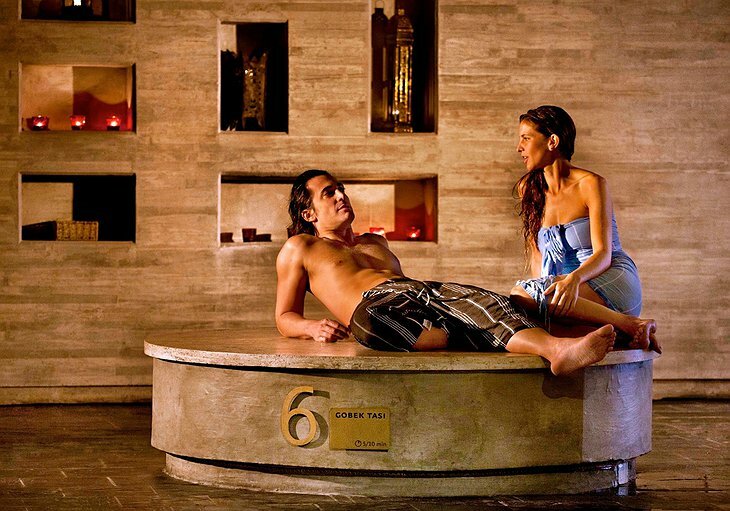 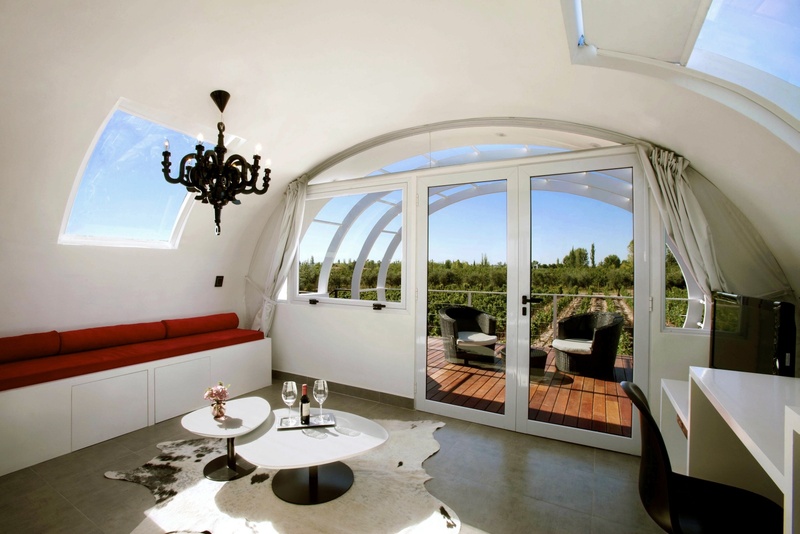 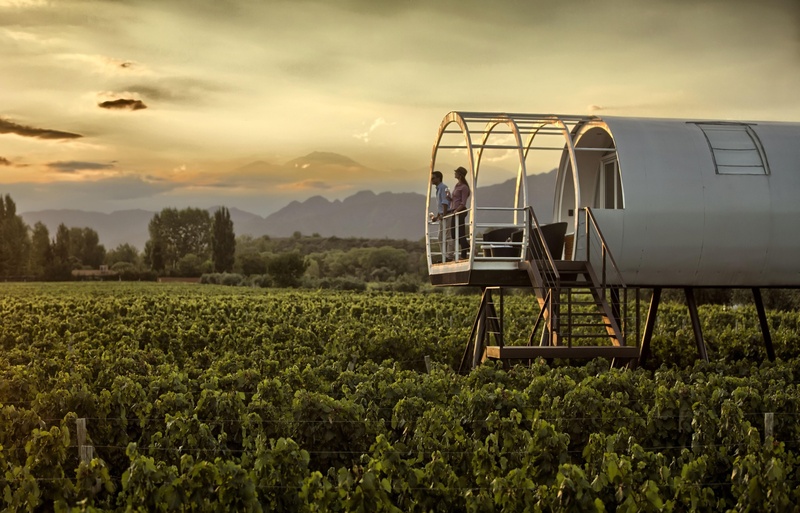 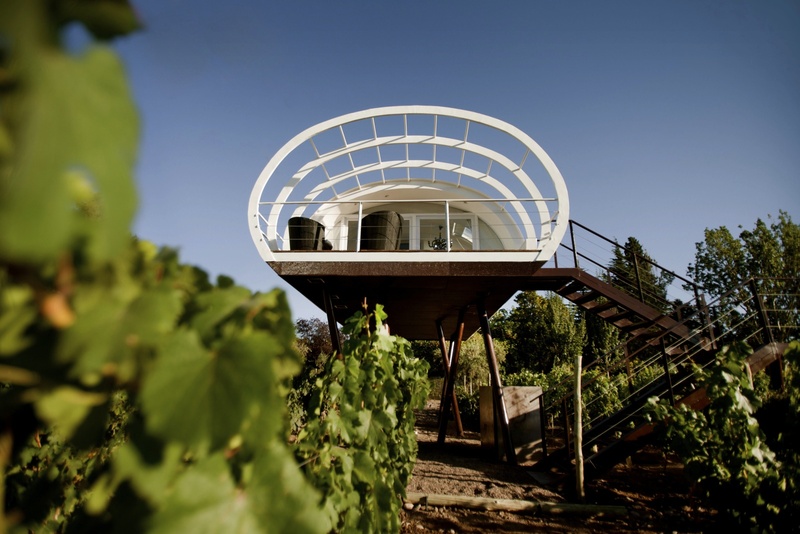 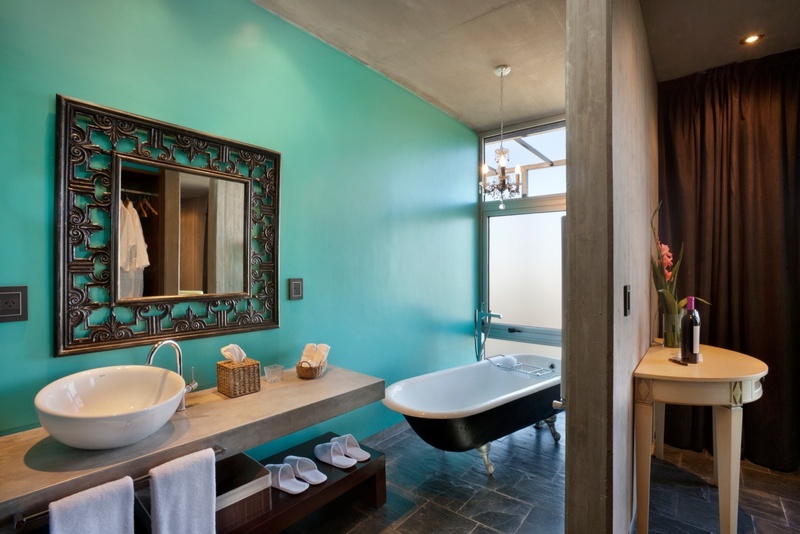 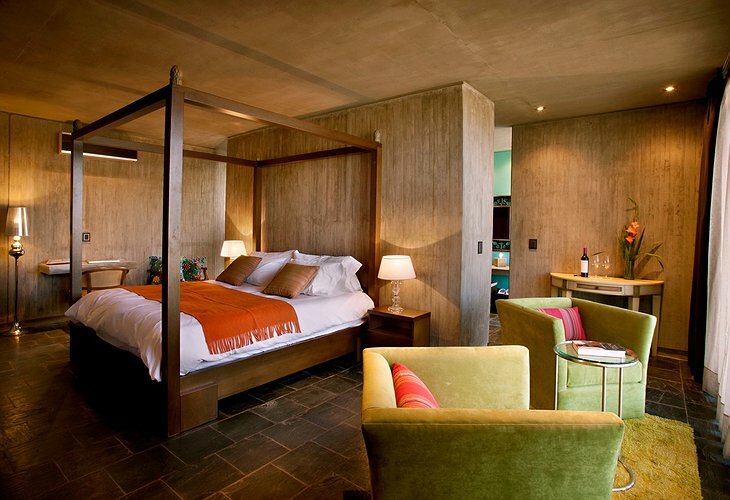 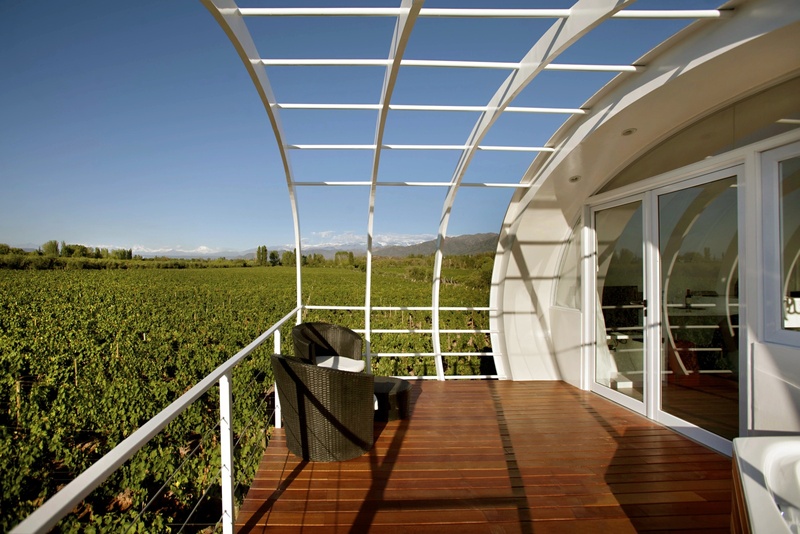 Located in one of the largest wine regions in Latin America, this luxury hotel includes a one-of-a-kind “Vineyard Loft” that sits high above the vineyard and includes an outdoor jacuzzi. 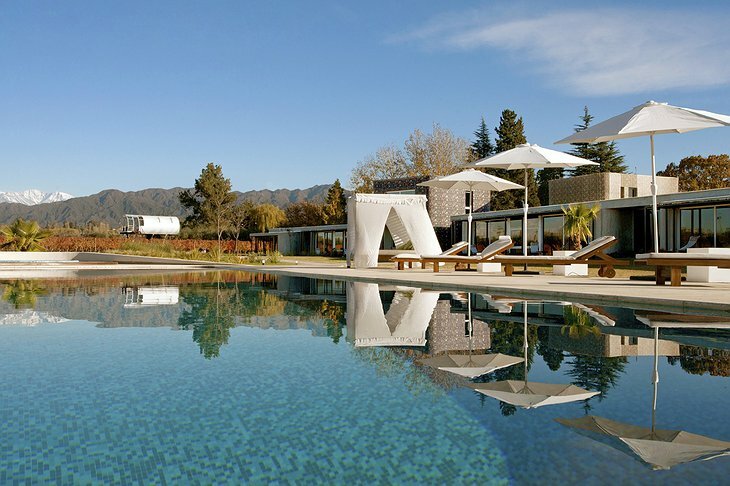 Guests can lounge poolside with a nice glass of Chardonnay and some tasty tapas, swim laps from end to end or just soak up the sun. 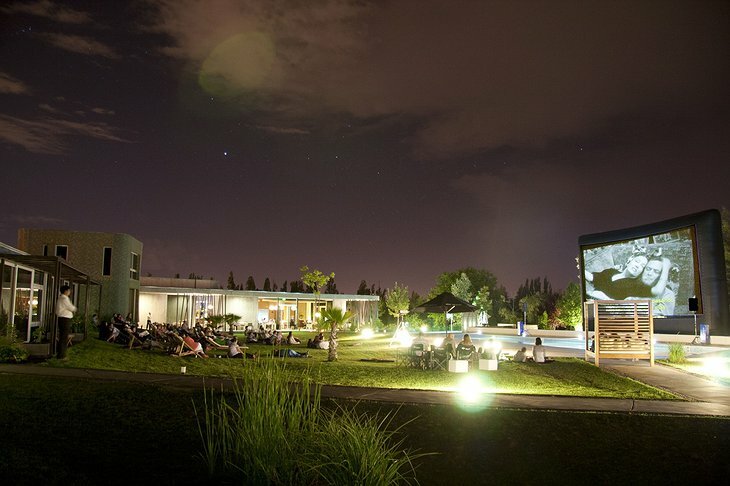 The Vita Parcours at Entre Cielos is an outdoor fitness course spread over 1.6 km across the property and is comprised of five workout checkpoints and a stretching zone. From horseback riding through vineyards to hot air ballooning and mountain climbing, Entre Cielos’ location in the foothills of the majestic Andes makes it the perfect home base to explore the region. 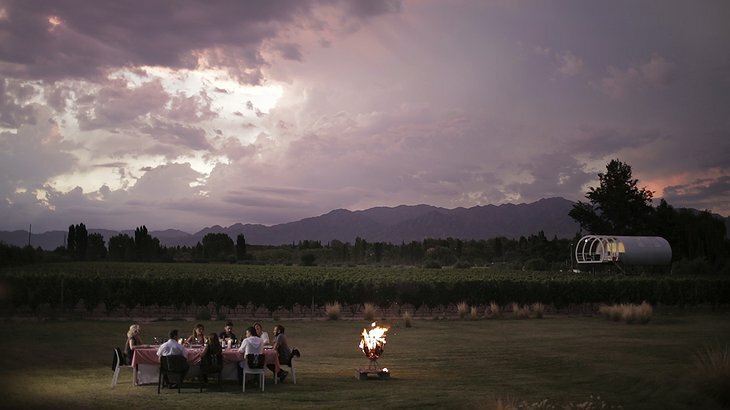 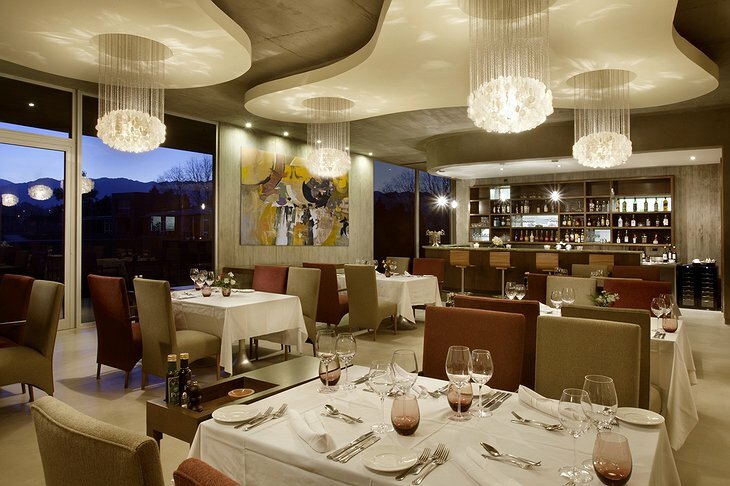 Hotel guests also have a choice of two restaurants from which to dine: the more casual “Mas Brasas,” which serves Argentine barbecue, and the upscale fusion restaurant, “Katharina.” With eight acres of Malbec grapes growing on alluvial soil, Entre Cielos produces three lines of its own exclusive wine named "Marantal." 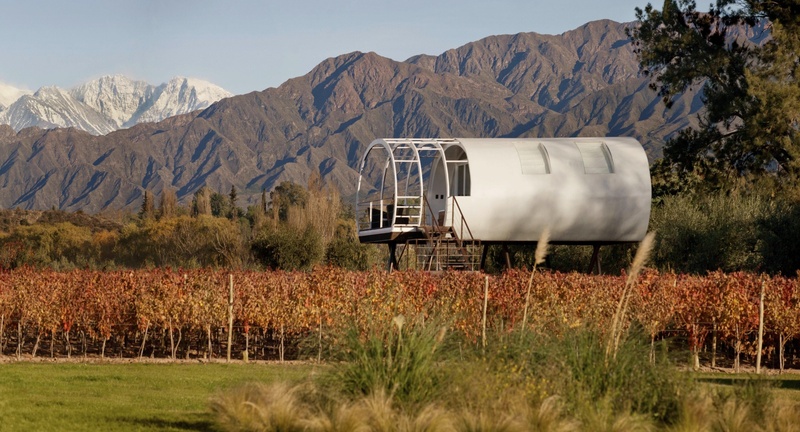 One of the best winemakers in the area, Hubert Weber, who has been making wine for nearly 30 years, works at the hotel and aids in deciding how to exactly shape the vineyard and craft the wines. 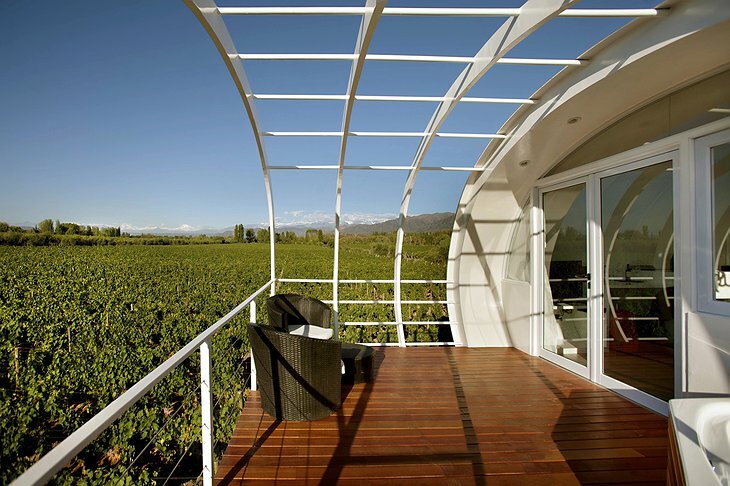 Whether you’re a wine connoisseur or simply one who appreciates good wine, Entre Cielos is a great option.